Garage: Double "Attached,Garage,Garage Door Opener,Side"
Lot Size: 1.42acres n/a "Horses Permitted,Interior Lot,Irregular,Landscaped,Lrg. Backyard Grass,Some Trees,Subdivision,Tank/ Pond"
This home lives BIG! Spacious open concept living room w fireplace flows into kitchen w island. Tall ceilings. Generous bedrooms. Private backyard. Lovely pool. Stroll over to the large pond w waterfall or the firepit. Rinse off in the outdoor shower w hot & cold running water. 30x18 workshop w electric. Additional garden shed. 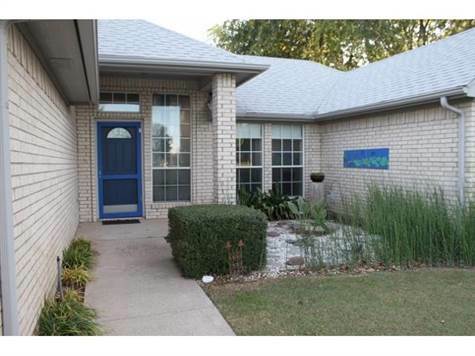 Both front & back yards covered by sprinklers.Buyer & agent to verify all measurements, schools, & information.